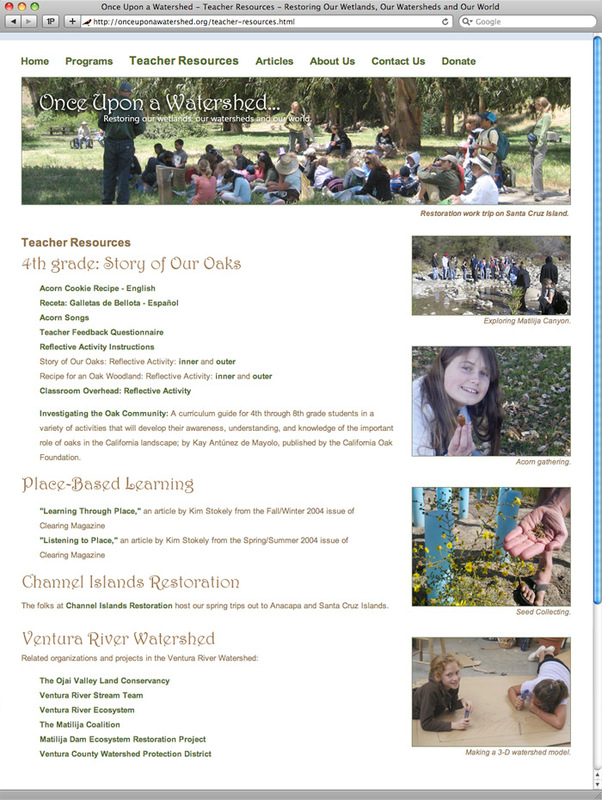 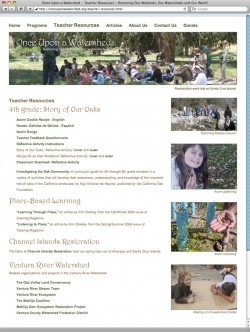 Once Upon a Watershed seeks to awaken wonder, appreciation, discovery and connection with the natural world. 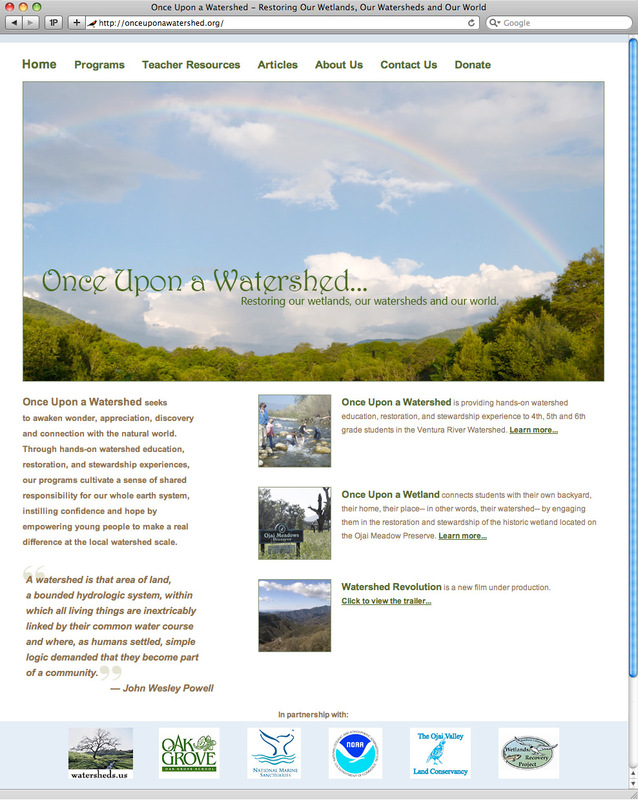 Through hands-on watershed education, restoration, and stewardship experiences, their programs cultivate a sense of shared responsibility for our whole earth system, instilling confidence and hope by empowering young people to make a real difference at the local watershed scale. 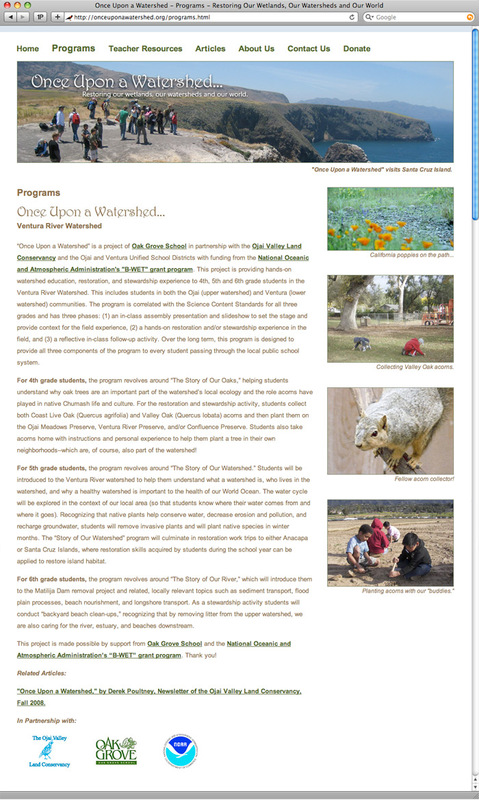 WackyPuppy designed and developed their website, and provides ongoing maintenance and updates.